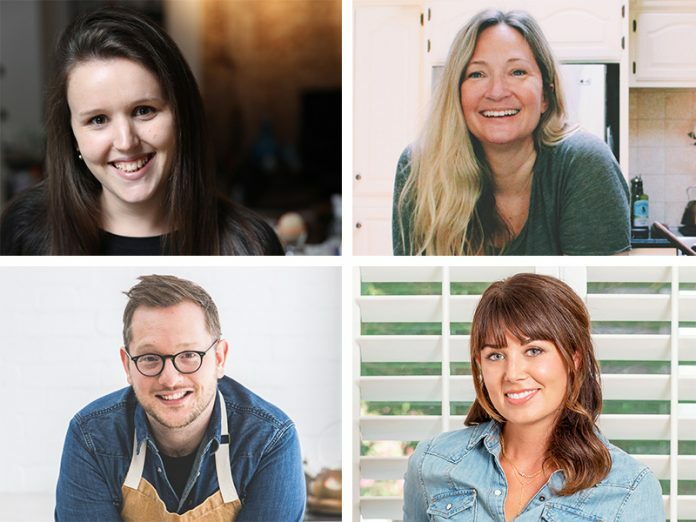 Meet the extraordinary baking bloggers, cookbook authors, and cookie pros behind our 2018 Holiday Cookies Special Issue, and see which recipes they recommend as must-bakes. Sarah Brunella is a woman of many nations and culinary influences. Swiss-born from an Italian mother and a Swiss/French father, she now lives between Switzerland and Northern Italy. She created the blog Fragola e Limone as a way to share her ever-expanding collection of recipes that represent her multicultural tastes. Her Italian heritage comes through in most of her recipes, and it acts as a flavorful inspiration for her Ciambelline al Vino cookies. 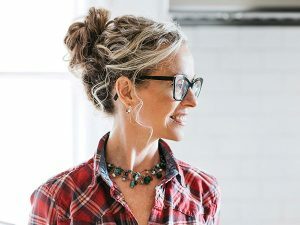 Laura Kasavan is the baker, writer, and photographer behind Tutti Dolci, a baking and desserts blog featuring sweet recipes for both everyday and special occasions, with a particular expertise in crisp, crumbly shortbread. Based in California, Laura loves to bake with the bounty of local produce, with Meyer lemons and farm stand berries among her favorite ingredients. 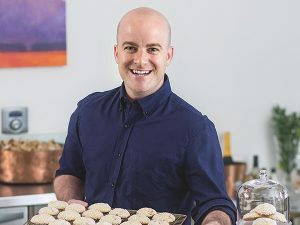 Brian Hart Hoffman is the editor-in-chief of Bake From Scratch magazine, and the Chief Creative Officer of Hoffman Media based in Birmingham, Alabama. To him, the holidays mean one thing: all cookies, all the time. Each year, he kicks off his holiday baking with a recipe that packs all of his favorite things into the ultimate FOMO (fear of missing out) cookie: brandy-soaked apricots, crunchy Swedish pearl sugar, and tangy crème fraîche. 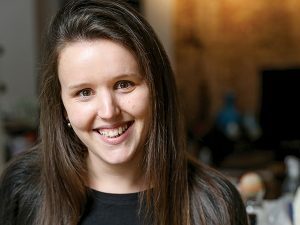 Erin Clarkson is a blogger based in Brooklyn, New York, but originally from New Zealand. 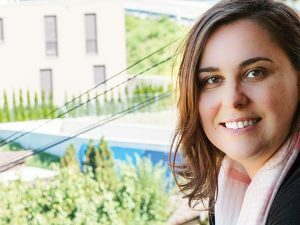 A geologist by trade, she started Cloudy Kitchen as a way to share recipes from home and combat homesickness. Her blog has since grown to encompass a wide range of baking and sweets, from intricately latticed pies to multilayer cakes. Erin’s the crafty genius behind our cookie box cover star, and she’s offering up her step-by-step techniques and tips so that bakers can create their own version at home. For Elizabeth Stringer, the fascination with food started at an early age. When she was 8 years old, she entered and won her first baking contest. By the time Elizabeth was a teenager, she was decorating cakes in a commercial bakery. 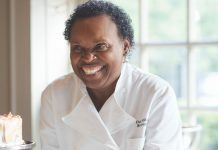 Knowing food was her future, Elizabeth earned a culinary degree in baking and pastry arts from Johnson & Wales, followed by a stint at Sugarland Bakery in Chapel Hill, North Carolina. Today, Elizabeth pursues her passion as a recipe developer and food stylist for Hoffman Media. Elizabeth loves spending time with her two cats, Angus and Leia; her dog, Bonnie; and her husband, Blake. 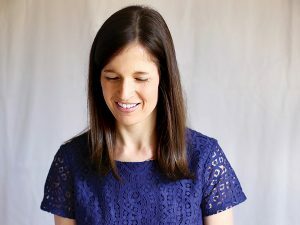 Zoë François is the co-author of the best-selling cookbook series Artisan Bread in Five Minutes a Day. The latest book in the series, Holiday and Celebration Breads in Five Minutes a Day, comes out in November. Zoë shares her love of pastry on her website and Instagram, where she shares tricks of the trade and video tutorials, helping home cooks overcome their fear of baking. 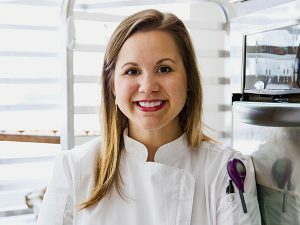 Zoë also offers long-form baking classes through craftsy.com. One of Zoë’s baking career highlights was being invited to Ina Garten’s house for a cookie swap. 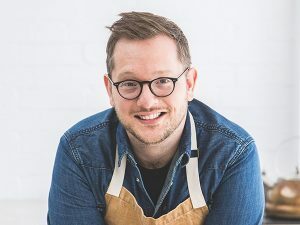 Edd Kimber is a baker, food writer, and author of three cookbooks, including The Boy Who Bakes and Patisserie Made Simple. 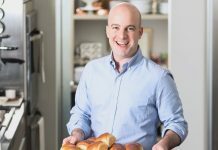 He’s a Bake from Scratch contributing edtior and was guest editor of the 2017 British Baking issue. Edd grew up in a house where baking was a regular occurrence—his first memory is standing on a stool in the kitchen helping his mum make mince pies. After entering and winning the first season of The Great British Bake Off, he jumped at the chance to follow his passion for baking. Edd brings his signature British flair to our issue, blending his cherished recipe for mincemeat with American Oreo sandwich cookies and introducing us to the dulce de leche magic of alfajores.